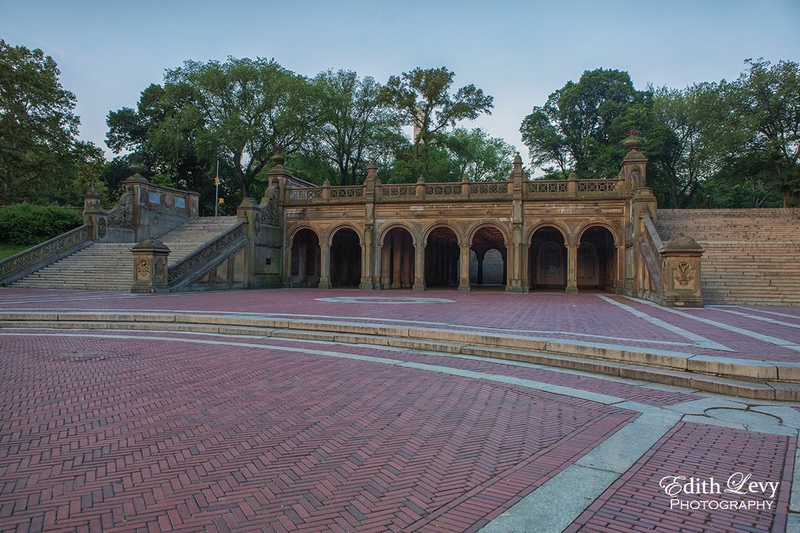 Here’s another shot of Bethesda Terrace (I hope you enjoyed my first one. You can find it here) I wanted to give you a little history of this wonderful hidden gem in the big city. The terrace was one of the first structures to be built-in Central Park which construction starting in 1859 and continuing through the civil war. It was completed in 1863. It was designed by Frederick Law Olmsted and Calvert Vaux. The designers wanted to create a place where people could enjoy nature as well as hold social gatherings. It was to be “a place to see and be seen while mingling with like-minded people,” while escaping the stress of city life. I was back in New York last weekend and as usual I had a list of things I wanted to shoot while there. There’s never a shortage of things to see and shoot in New York no matter how many times you’ve been there. I’ve been to Bethesda Terrace in Central Park many times before but always with hundreds of other visitors and while that’s okay for some street photography I selfishly wanted the place to myself. My alarm went off at 4:30am and off I went. I grabbed a cab as I wanted to get there before the 5:15 sunrise time and as I got out of the cab two things happened. First I opened the door to the cab to get out and on the sidewalk were 2 rats the size of an external hard drive and second the cab driver told me to be careful. I thought he was talking about the rats and when I told him they’d already scurried away he said that he meant in the park. “There’s a lot of bad people in the park at that hour” Great…that’s what I needed to hear. I had already tried to put aside my concern about my walking through Central Park at that hour telling myself that it would be light soon and it wouldn’t be a problem. I was right. As soon as I started walking towards my destination I encountered joggers and cyclists and I immediately felt better. Here’s the first that I’ve processed. I’ll have more later in the week along with a little history of the place. This is another image taken from Brooklyn Heights but a slightly different composition than the one in my previous post. This image was shot at sunrise but I decided to create a more dramatic image by giving it a B&W treatment in Perfect B&W by OnOne. Click on the image to see an enlarged Hi-Res version (it really does look better) or to Purchase a Print. Happy New Year! I hope you all enjoyed the holidays. I took a much-needed break the last couple of weeks to recharge my batteries. My family and I headed to New York for a few days and enjoyed some wonderful family time, but of course I found a little time for photography as well. Before I get into todays image I wanted to let you know that Ian Plant has released a new ebook, Yellowstone – Light & Life. This glorious 80 page book is filled with Ian’s beautiful images and the best part is that it’s completely FREE. You can pick it up at the Dreamscapes store here. 2014 is shaping up to be a busy year but in a good way. I spent some of my time off working on my PhoDOGraphy by Edith Levy site which will be ready for a sneak peek later in the week. I’ll also be participating in a group photography exhibition in downtown Toronto later this month and I’ll be sharing more information on that later in the week as well. Now on to today’s image. This was taken at the bottom of the Brooklyn Heights Promenade just before sunrise on our first morning in New York. What a fantastic spot for views of the Manhattan skyline.